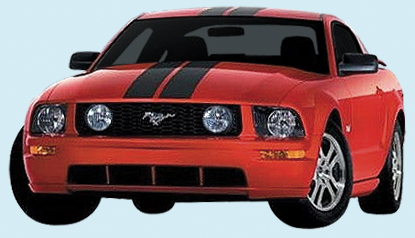 Our 2005-09 Mustang Lemans Over Roof Stripe Kit is manufactured to meet or exceed OEM stripe/decal standards. Your new muscle car deserves the best stripe kit on the market. Our stripe and decal kits will enhance your new Mustang, making it an instant "classic."